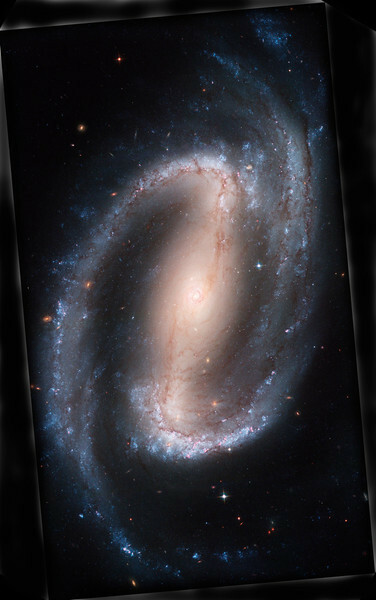 NGC1300 in the Hubble telescope. Image from the Hubble web site was downloaded at high resolution and then reoriented to match the preceding image taken at Mt. Lemmon. The framing outside the original image was darkened in Photoshop to improve aesthetics.